Aki Kumar was sure the whole idea was a big mistake. Born and raised in Mumbai, he discovered the blues after moving to the United States, and quit his day job as a software engineer three years ago to focus on his burgeoning career as a harmonica player and vocalist on the South Bay blues scene. In the back of his mind, he’d always wanted to bring together the uproarious Bollywood anthems of his youth with the low-down grooves he’d come to love in the blues, but the idea seemed too outlandish to pursue. Until veteran blues keyboardist Jim Pugh happened to ask Kumar if he had any dream projects on the drawing board. 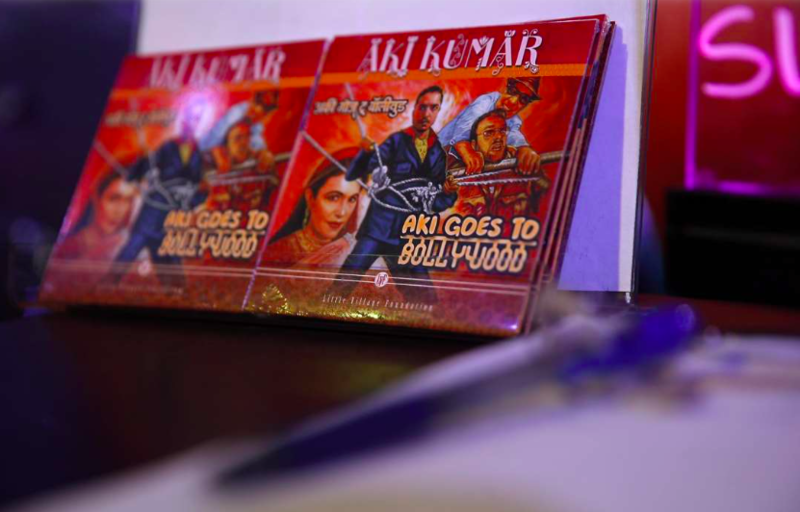 Recorded at Kid Andersen’s Greaseland Studios in San Jose, “Aki Goes to Bollywood” draws on music from several decades of Hindi-language films, including iconic songs by composers such as R.D. Burman (“Janu Meri Jaan”), Anand-Milind (“Eena Meena Deeka”) and Kishore Kumar (“Chala Jata Hoon”). Ultimately, what makes “Aki Goes to Bollywood” such an engaging album is that Kumar draws on an array of blues styles for the East-meets-West communion, “which is what you would get normally at one of my shows,” he says. Kumar moved to the United States in 1998 at the age of 18, and after a short stint of studying in Oklahoma City, he transferred to San Jose State University. After getting turned on to doo-wop and early rock ’n’ roll listening to oldies radio, he traced the styles back to their roots and fell in love with the blues. Looking for a creative outlet, Kumar started taking classes at harmonica player Dave Barrett’s School of the Blues in San Jose, which led him to Chicago harp masters like Little Walter, James Cotton and George Smith. The South Bay scene has long boasted several lively blues jam sessions, and Kumar built up his chops by sitting in regularly. He started making a name for himself as rapidly developing player with a communitarian ethos, and in recent years he’s become a valued leader, helping run a Thursday night jam at Little Lou’s BBQ in Campbell. He plays regularly at all the major blues joints, from San Francisco’s Biscuits and Blues and San Jose’s Poor House Bistro to Fremont’s Smoking Pig BBQ Company. Kumar, who recently performed with Chris Cain, Igor Prado and the Norwegian-born Andersen, tearing up Little Lou’s, speaks to the international reach of the blues, even if the music isn’t always honored at home. Listen to songs on Aki Kumar’s website.